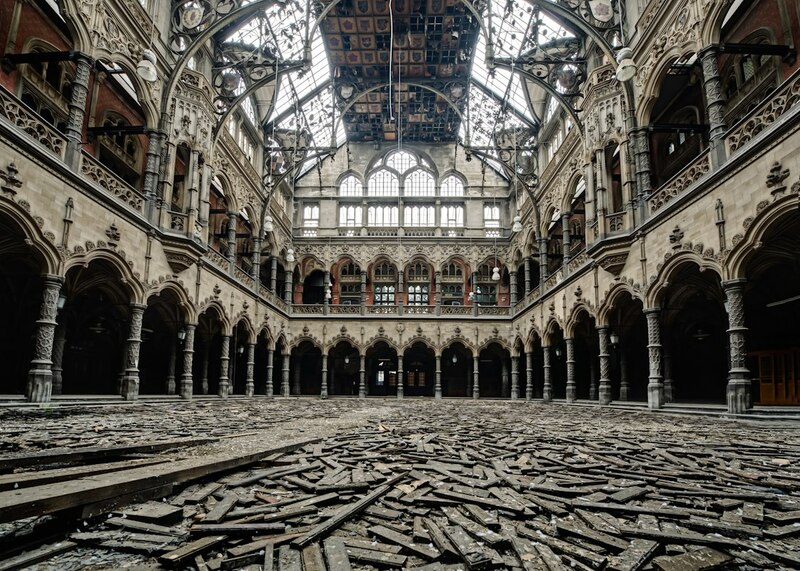 De Oude Beurs, Antwerp, Belgium (Urbex photo of the ruins of the world's first modern stock exchange, Antwerp). In May, I chatted with Chris Ellis, aka ChrisJ of Feathercoin, about how cryptocurrencies could change global economics and society (see my earlier related post here). What follows today is not exactly an interview, but reflections on some of the things we discussed. We talked mainly about Bitcoin. But one senses that it is Ellis's work on Feathercoin - an altcoin established on 16 April 2013 and originally developed by Peter Bushnell at Brasenose College, Oxford - that brings Ellis to some of Bitcoin's biggest questions, and indeed, to some of the biggest questions surrounding all cryptos. For Ellis, an economy is a system of how we define ourselves in relation to time. In a June 2014 interview, he noted Mike Maloney's remark that the ultimate form of money is time, the ultimate irreversible transaction. Bitcoin is above all a technology of its blockchain, a time-stamped ledger either of economic transactions, or of interactions in Bitcoin's non-currency applications. According to Ellis, Bitcoin is really "a great big unstoppable clock." And that means that Bitcoin represents a watershed moment, the start of a change in how we understand time technologically, economically, socially and culturally.